Look! Who is that peeking out from the apple? 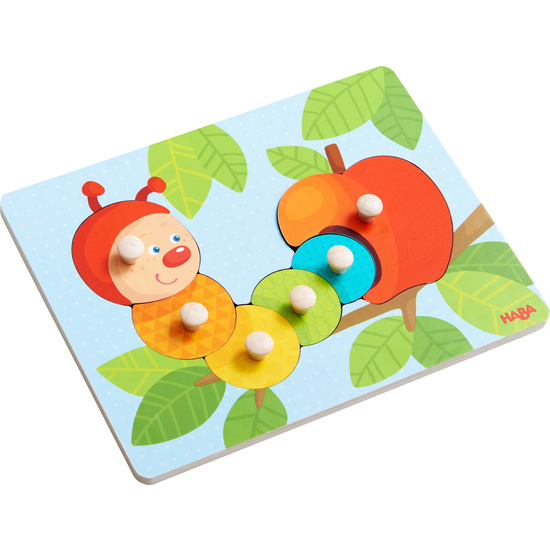 Little puzzle pro can assemble cute Caterpillar Mina with 6 puzzle pieces. An excellent introduction to colors & puzzling!